At Tellus, we make products that start and end with the earth in mind, because we have complete respect for the environment. Sugarcane is annually renewable, and we utilize leftover fiber from the sugar milling process to make our products. We’re proud to source all of our raw materials from the sugarcane grown by our parent companies. Even the process we use to create our petroleum-free products utilizes renewable energy generated from our fiber. Our products begin in the soil as the sugarcane grows. 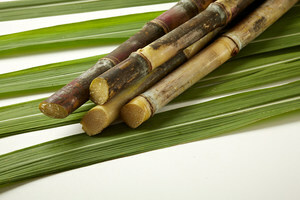 Sugarcane takes about 12 months to fully mature and is harvested annually. 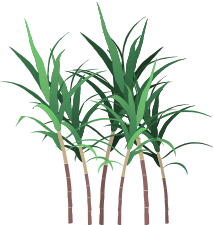 Once harvested, the sugarcane is milled to extract sugar, molasses, water and fiber, called bagasse. The fiber is used to generate renewable energy and make our products. In our Tellus facility, we begin by processing the sugarcane fiber to isolate pure cellulose. The cellulose slurry is then taken into specialized molding equipment. Through custom forming molds, we shape the material into take-out containers, plates and bowls. We then package and ship them for sale.